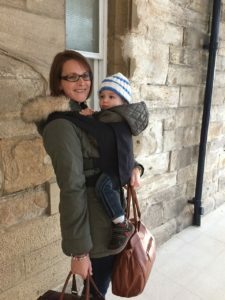 Blog Are Baby Carriers Safe? The infants are fragile, and they need extra care and consideration. Before you decide to take your child out of the safe confines of your home, you should equip yourself with the various accessories that ensure that your child is comfortable. You may want to hold your baby in your arms; however, you may get tired eventually. Moreover, it is not very safe as you may lose grip or hold, this may be quite risky and may cause injury to your child. This may be very painful for your baby and you as well. This does not mean that you should not take the kid outside the home; it only suggests that you should have a proper baby carrier in which you can take your child to the outside environment. But the question arises – Are baby carriers safe? What are the benefits of a baby carrier? 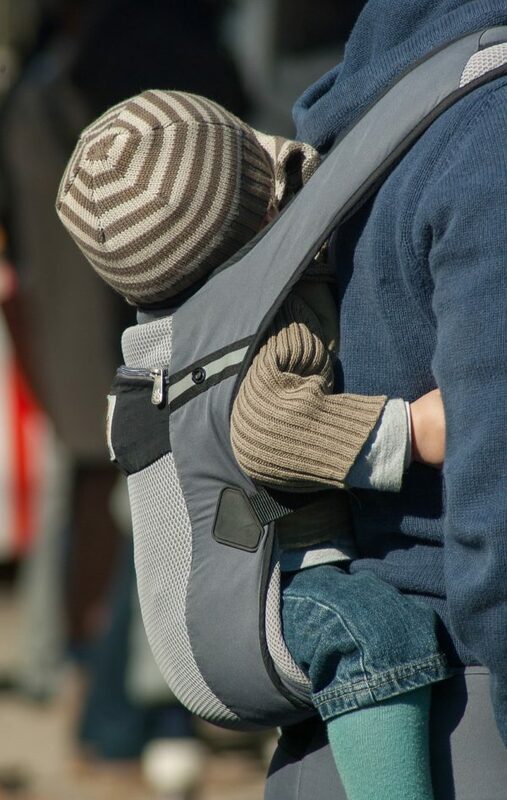 Children who are put in baby carriers tend to be more settled and sleep for longer. They have improved digestion from being held upright, and they cry for about half the length of time than the babies who are not put. They spend most of their time in a state of quiet alertness, able to take in what is going on around them. Premature babies gain weight faster when carried and have better temperature regulation. Different carriers are more suitable for different ages of babies although kids’ and parents’ preferences also are significant. Stretchy wraps, for example, are ideal for newborns but less appropriate for an older baby or toddler. If more than one person uses a baby carrier, you’ll need to bay an adjustable carrier unless you’re both the same height & size. If choosing a wrap, make sure it’s long enough for both of you and make sure you’re both confident using whichever baby carrier you want. How often will you use and for how long? Think about how the carrier distributes weight and try to choose one that spreads the burden through both shoulders and your back if you’ll be using it for extended periods of time. How easy do you want your carriers to be? Wraps are very versatile but take some practice to learn how to tie them. Some people prefer tying carriers while other are happier using ones with buckles or rings. Is a Baby Carrier Safe for Newborns? Babies are designed to be carried. Even infants lift up their knees and stretch out their arms when they’re picked up, automatically adopting the right position to sit on their parent’s hip. Being carried correctly in a carrier supports the spine, keeping it in the rounded ‘C’ shape that your babies’ spines need to be in while they are growing. As kids’ hip joints are not fully formed at birth, it’s also important that your babies’ legs are flexed when they’re in a baby carrier so that the hip joint sits securely in the socket. Your child’s knees should be higher than their bottom, and their legs should be supported up to the knee so that a ‘M’ shape is seen when looking at the baby. Are Baby Carriers Safe for Baby’s Hip? If your child is going to have a hip development issue, it will usually occur before he or she reaches four months age. Be sure to give your young infants occasional breaks to allow them to move and exercise their legs freely. The angle of your baby’s legs while in a baby carrier is important, and you want to get a carrier that does not allow your child’s legs to “dangle”. Baby carriers that don’t adequately support your infant’s knees and allow “leg dangle” can potentially lead to hip problems. According to the International Hip Dysplasia Institute, certain type baby carriers and other devices like carriers, walkers, car seats and any items with molded seats can interfere with your child’s healthy hip positions. There is a potential risk of any of these baby items inadvertently putting your child in situations that are unhealthy for their hips. The hip joints of young infants up to four or five months old are still only partially developed. Much of the joint is soft cartilage which will become bone sometime between four and seven months old. Any carrier or device that puts your infant’s legs in an improper position is potentially a risk to normal hip development. Always make sure that your baby carrier is appropriate for the size of your child to eliminate improper hip placement. Regardless of which baby carrier you decide to buy, do your research. Don’t rely only on the product description from the manufacturer. When purchasing online, read the customer reviews. These reviews are always better and more informative than the product descriptions from the manufacturers. Also, answer the TICKS technique to the question of – Are Baby Carriers Safe? Only use framed carriers for babies after consulting with a health professional, as younger children can suffer neck injuries. Leg opening big enough to stop chafing.